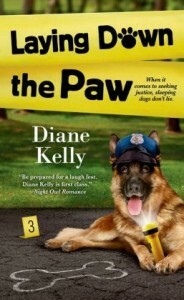 Police officer Megan Luz and her K-9 partner are back–with a vengeance. When a raging tornado hits Forth Worth, Megan’s squad car is flipped over–and her devoted police dog, Brigit, is not amused. But that’s not all that’s upside-down. The streets are littered with looters–and members of a violent street gang–and no local business is safe. It’s time to get back on all fours and see that the job of protecting the public is done. BUT WHO’S LEADER OF THE PACK? But Megan, outmanned and outgunned, has no choice but to let the gang members get away. Later, when she learns that one of them is a suspect in an unsolved murder case, Megan is determined to see that justice is served. But will she end up in the doghouse? Her investigation has her and Brigit barking up the wrong tree at every turn. Meanwhile, a killer’s on the loose….who will stop at nothing to get what he wants.